In 2004, Type-Moon was primarily a doujin organization that made its first commercial release for the title Fate/Stay Night on the PC as an eroge visual novel. With beautiful artwork, intricate theme and plot alongside Kinoko Nasu’s interesting way of storytelling, the Fate series was a huge hit. And with its popularity, we have now seen a number of animated series following different story and timelines, light novels to games. 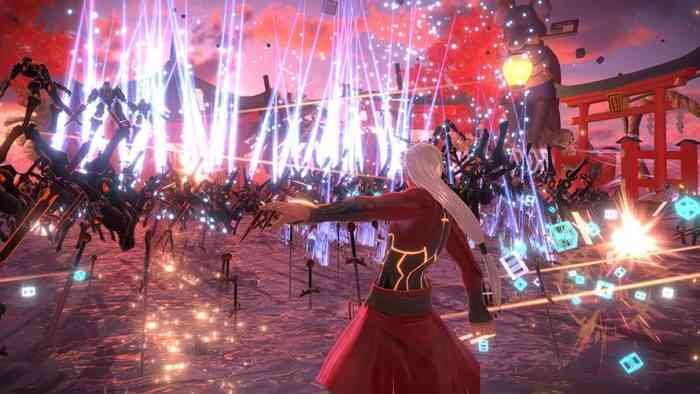 While I haven’t read any of the visual novels, I have slowly versed myself in the confusing Fate Universe mostly through the animes and in 2017, played and reviewed Fate/Extella: The Umbral Star. 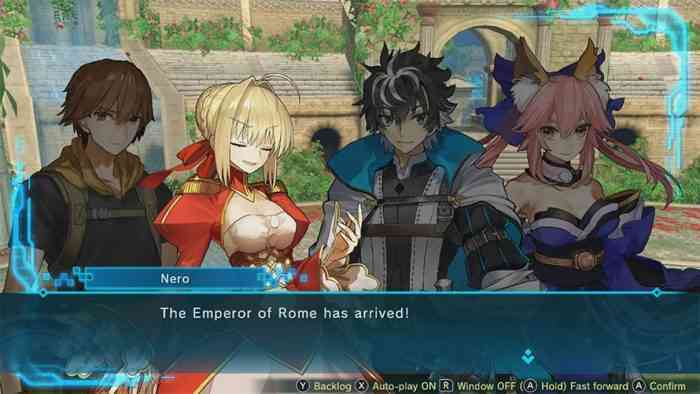 Here we are two years later with the follow-up title Fate/Extella Link that gives us more a new war to conquer and an added 10 servants to add to our already large roster of 16 characters. Taking place after the events of the previous game, Hakuno Kishinami, the protagonist, has begun to live a peaceful life in the virtual world of S.E.R.A.P.H. Along with Nero Claudius, Tamamo no Mae and Altera Larva having since made peace with each other, it seemed the time of war was past them. 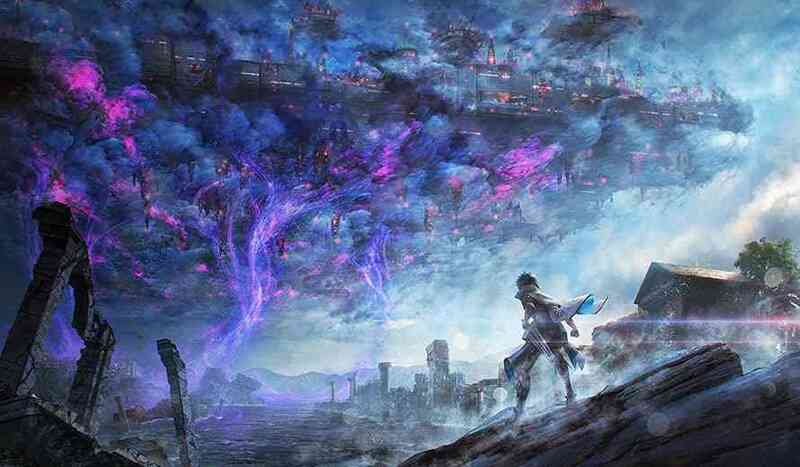 Hakuno and Altera have gone to enjoy the city when suddenly they are approached and cornered by Attack Programs and Altera has suddenly disappeared. After going to summon one of our Servants, the group is rescued and approached by a wandering Servant named Charlemagne of the Saber class. With our new comrade and his Noble Phantasm, summoning a flying fortress that serves as our base of operations, it’s a journey to find Altera and answers as to who her mysterious captor might be. Did that all make sense? I know, it’s a lot to take in especially if you haven’t played The Umbral Star or if you just aren’t familiar with series. Luckily there is a glossary with definitions and events that explain the world further to make sure that players have a solid understanding of the already complicated story and lore. But of course, if you just want to play a wild musou game with stylish fights and not care for the story as much, that’s totally ok too since the gameplay is just as enjoyable without that information. Exactly like the previous game, Fate/Extella Link is a musou title through in through. Playing much like the Dynasty Warrior series, you’ll find your given character in the middle of a map taking on a huge onslaught of enemies in an ever occurring wave until the certain criteria have been met. By capturing each sector of the map, you’ll be faced with completing various objects such as protecting certain allies or capturing specific bases in order to progress. While the core gameplay itself hasn’t really changed from the first game, there are certainly some new fun features. 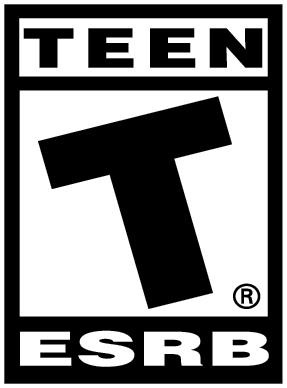 The “Link” in the title of the game refers to the ability to teaming up with allies. When playing on the same sector of the battlefield, you’ll find a line that connects you to your comrade. While in this state, certain attacks will be buffed and the chance of knocking the enemy up and unleashing a barrage of combos will increase. Likewise, your teammate will also have the chance to break an enemy’s combo on you. While in the first game you could more or less ignore your teammates if you wanted to, this feature now adds importance in joining the fight with a friend instead of going at it alone. This will also come into effect during the online 4V4 online multiplayer mode where linking will be a vital part to your success. Activating your special skill is now even easier than before as it’s now accessible with a touch of a button. By quickly pressing R1, you’ll have the active menu that gives you your 4 special skills that can be used at any time however as each attack will have a cooldown, you won’t be able to recklessly spam your skills. Throughout your fight, characters will also have a second super bar that when completely filled up, can be used to initiate a special mode where your character becomes more powerful. While in this state, a third gauge will appear, filling up 25% every time your special mode is activated. Once this gauge has completely filled up, you’ll be able to use your Noble Phantasm, your character character-specific attack. And we can’t forget our master. Kishinami themselves will also become a part of the gameplay as well. As the one who supplies their Servants with magic, they’ll appear on the map but because of this, they will be just as prone to being attacked so it’ll be really important to keep an eye on them to make sure that they are safe. The title of Master also gives Kishinami three command spells to use for each fight. The first two seals, teleportation and resurrection will only require one seal while the third, full party recovery, will use all three. In between battles, you’ll retire to one of Charlemagne’s Noble Phantasm, the floating fortress. Here you’ll be able to visit with each of your Servants where you can customize their Active Skills, outfits, equipping Install Skills and levelling them up with QP (currency). Kishinami will also be able to create and equip Mystic Codes, granting further bonus’ top Servants and allows them to use various items in battles. You’ll also find the random mission given to you by a Servant that’s to be accomplished during the next fight. For those who don’t care as much about the random story fluff, it can be a bit tiresome as the dialogue can be a bit weird, heavy with reading and could feel awkward. But for the fans of the series and those who are interested in the characters and the lore, this portion of the game will be more enticing as it gives us a deeper look at every character and their personalities. You’ll also be given the chance to increase your bond levels with each character which will, in turn, provide you with costumes for certain characters, but it also increases the amount of Install Skills they can equip, as well as the range of actions they can perform when set up as a support unit. Before rolling out into battle, The Strategy room will be the place to go for all last minute changes or updates. Here you’ll be able to select your Servant, change up your Support Troops and view any side missions. Once you’ve made your selection, it’s off to battle and the rest is more or less the same. The combat is incredibly smooth, fast and fun but unfortunately, it can be a bit frustrating due to the camera. It’s quite uncooperative and doesn’t really lock on to anything if the target isn’t in your field of vision and can really work against you if you’ve been knocked back into a corner or any other tight spaces. I wondered how well Fate/Extella Link would fare in comparison to its predecessor and if there would be any improvements to the experience. 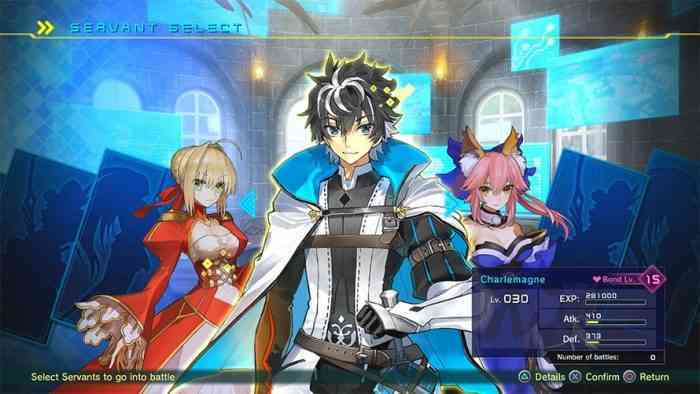 While the core gameplay is more or less the same, all of the extra added features, not to mention the added 10 playable characters, Fate/Extella Link is a remarkable experience and one I thoroughly enjoyed. In terms of story, writing and visual effects, fans of the Musou genre should definitely check this title out.